If you are dealing with angular blepharitis, it can be cause for concern. After all, health issues affecting your eyes can be scary. The eyes and surrounding tissue seem very delicate, and any inflammation or redness can be alarming. 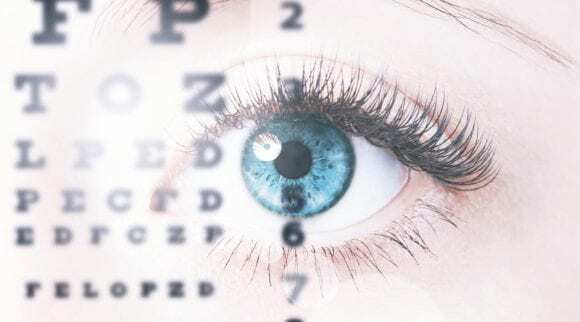 Because of this, if you are experiencing any out of the ordinary symptoms concerning your eyes, you should visit your optometrist or ophthalmologist immediately. One symptom that requires a trip to the doctor is an inflamed eyelid or lash follicle. You may receive the diagnosis of Blepharitis. What you may not realize is that there are many different types of this condition. You could have Seborrheic Blepharitis, Demodicosis, or Angular Blepharitis. While this article will specifically discuss Angular Blepharitis, there are some commonalities among all the individual types of Blepharitis. In general, blepharitis is the inflammation of the areas around the eye. This dermatitis or eczema can affect the lid margins, the lash follicles, or the openings of the meibomian glands. Blepharitis can occur one time, but most suffer from it chronically. The condition can affect your vision because it disrupts the surface of the cornea and the bulbar conjunctiva. Blepharitis may influence tear film composition. The classic symptom of Angular Blepharitis is the inflammation of the eyelids at the outer canthus, or outer corner of the eyes. The canthus is the inner or outer corner of the eye where the upper and lower lids meet. Angular Blepharitis occurs in the outer canthus only. Angular Blepharitis is caused by one of two types of bacteria: either Staphylococci (also known as staph) or Moraxella. Here is what is known about Angular Blepharitis. The symptoms include irritated and itchy eyes. 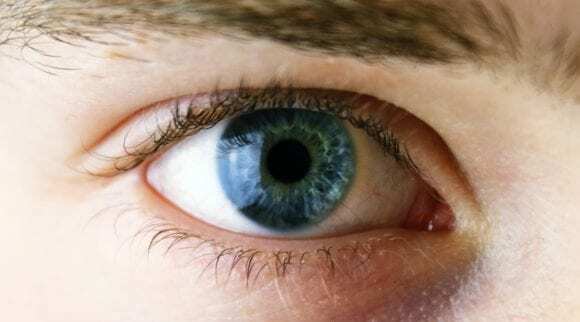 Patients may feel that there is a foreign body in the eye, and their eyelids may stick together. While the symptoms of all types of blepharitis may be similar, a qualified doctor will be able to notice the signs of angular blepharitis. During the exam, doctors may see that the patient’s eyelid is swollen. Other signs of angular blepharitis include redness on the margins of the eyelids and scales encircling the eyelashes. One may also notice staining, erosion, and infiltrates (or inflammation) in the lower third of the cornea. RELATED ARTICLE AND VIDEO: What is the Best Treatment for Blepharitis? What is the Best Treatment for Angular Blepharitis? The treatment of angular blepharitis can include an oral antibiotic. Doctors may also prescribe an antibiotic/steroid ointment to be applied at bedtime or up to three times a day. The antibiotic eye drops or ointments may include erythromycin, bacitracin, polymyxin-bacitracin, gentamicin, or tobramycin. This treatment is used to control any skin infection and keep it from spreading. A patient may also be given tear supplements to be used as needed. 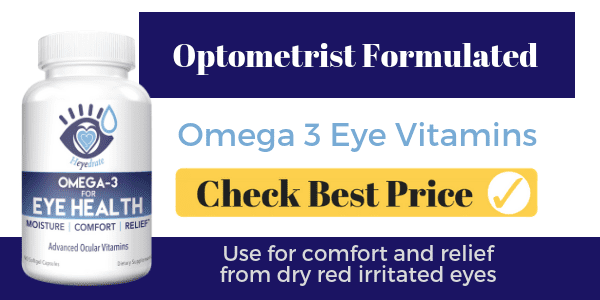 The eye drops are used to alleviate symptoms and re-establish ocular surface integrity. Doctors may also prescribe steroid drops or ointments if there is inflammation noticed on the eye. Another treatment option for angular blepharitis includes lid hygiene. Patients are encouraged to use a warm compress for at least 10-20 minutes, twice per day, on the eyelids. Many doctors recommend doing this by heating a warm compress eye mask in the microwave for 15-20 seconds. Afterward, one should use a hypochlorous acid cleanser, such as Heyedrate Lid and Lash Cleanser, to maintain healthy eyelids and eyelashes. Patients who have angular blepharitis should complete an eyelid scrub hygiene process to remove eyelash debris, bacteria, bacterial toxins, and oil from the affected area. Traditionally, doctors would recommend using baby shampoo for this process, but now there are several scrubs designed for the eyelids that are commercially available and contain less surfactants and detergents. These washes are available in foams, gels, and pre-moistened pads, but our favorite is the Heyedrate Lid and Lash Cleanser. Your doctor may also recommend that you use selenium anti-dandruff shampoo on your scalp and eyebrows if you have a particularly chronic case of blepharitis, but we like to recommend a tea tree oil soap bar for use in the shower. While cleaning the area surrounding your eyes, your doctor may also recommend that you massage specifically the area of the meibomian glands. This should be performed after a warm compress, which has hopefully loosened the stagnant oils within your glands. Your doctor may also mention other ways to promote good eye health. If you are a smoker, consider quitting. Of course, smoking can interfere with the good health of your eyes as well as other areas of your body. It wreaks havoc on everything from skin and eyes to your heart and lungs! 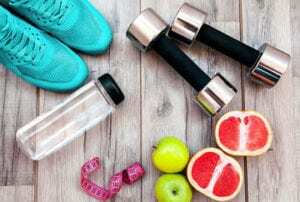 Besides quitting smoking, another healthy lifestyle change that can improve the health of your eyes is to eat a diet rich in Omega-3 fatty acids. These fatty acids are found in wild caught salmon, mackerel, sardines, tuna, anchovies, and herring. Don’t worry if you do not like seafood. Nuts and legumes are good for eye health as well. Consider consuming flaxseed, walnuts, Brazil nuts, cashews, peanuts, and lentils. Put chia seeds and hemp seeds in your smoothies. Eat citrus fruits such as lemons, oranges, and grapefruits. Make salads with leafy greens including kale, spinach, and collards. Besides eating carrots, also eat sweet potatoes. Don’t forget to eat your protein as well. Eggs and beef are essential in maintaining eye health. You can also take oral supplements of Omega-3 in the form of fish oils. You may also find supplements at your local health food store that are manufactured to promote eye health. These supplements may contain Omega 3 fatty acids, flax seed oil, and other components. Foods that are essential to good eye health can be eaten instead of taking supplements, but that’s up to you. There are many other environmental factors that you have control over that can improve your eye health. Some of these changes can be made with zero or little expense and can improve how your eyes feel even at the end of a busy day. First, protect yourself from your computer screen. Lights from the purple/blue spectrum may help adjust your computer and phone’s brightness, but those same lights may be harmful to your eyes. Protect your eyes by either changing your computers settings to the “nighttime mode,” purchase a filter for your screen, or wear blue light-blocking computer glasses. If you buy a filter for your display, make sure it does more than reduce its glare. Check to see if it has an amber tint to help counteract the blue light waves. As mentioned earlier, the more you use a computer, the less often you blink. Blinking refreshes your eyes and keeps them moistened. Be conscious of this, and try to remember to blink more often when you are sitting in front of a screen. Pay attention to where the monitor is placed in relation to your eyes. The monitor should be set below eye level to avoid a wide eyelid aperture. Wide eyelid aperture will cause your eyelids to dry out and bring undue stress to your eyes. Doctors recommend that you never use a computer or watch television in a completely dark room. This habit is hard on your eyes as you continually have to adjust from darkness to the bright light from your screen. Pay attention to the size of your screen as well. Adjust your font, so it is as large as possible on your computer screen as you type. You can also change the size of your font on your mobile device as well. If you are having a difficult time seeing your computer screen, your body will compensate in other ways without you even realizing it. This will cause eye strain as well as an aching body. If you suffer from dry eyes, make sure you give your eyes a rest periodically. Follow the 20/20/20 rule. Every twenty minutes while you are working in front of a screen, look 20-feet away for 20 seconds. This could give your eyes the necessary break they need to feel refreshed even at the end of a long day at work. Even if you don’t take a 20/20/20 break, studies show that while the common break time consists of two 15-minute breaks throughout the day, having four additional five-minute breaks can significantly reduce the amount of eyestrain. These minibreaks do not reduce your productivity. In fact, the work output increases when you enjoy a few more minutes of rest each hour. Reduce the amount of time your eyes have to adjust to brightness and glare. Wear sunglasses and hats with bills when outside. Pay attention to the lighting around your computer and television screen to keep your eyes from having to work extra hard by looking through a glare. Besides paying attention to lighting, you also need to pay attention to the air surrounding you as you use technology. Sitting near a vent or fan at work can cause eye irritation. 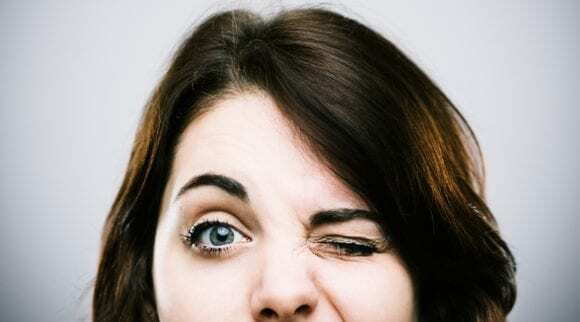 Constant air blowing on or around your face can cause eye dryness as well. Also, if your eyes are always tired, make sure you are staying hydrated. Remember, alcohol and caffeine cause your body to dehydrate. Drink water for eye health. Lots of water. If you find yourself living in a dry environment, help protect your eyes by using a humidifier. Humidifiers help put moisture in the air and keep your body from working so hard to stay lubricated. RELATED ARTICLE AND VIDEO: 7 Dehydration Symptoms You Need to Know | What is Dehydration? How Do You Prevent Anterior Blepharitis? While there is little available to prevent this condition, steps can be made to control the severity of the inflammation. After drying, spray a hypochlorous acid eyelid cleanser on and let it dry. Follow with a moisturizer that is free from chemicals like organic jojoba oil, organic coconut oil, or the same eye makeup remover mentioned above. Going to your doctor as soon as symptoms appear can help minimize the degree of infection and lower the likelihood of complications. Bacterial conjunctivitis can develop when anterior blepharitis is not treated. Therefore, Bacterial conjunctivitis usually produces a thick eye discharge or pus and can seep from one or both eyes. One can also develop a hordeolum, or a stye, from anterior blepharitis. A hordeolum is the swelling of the eyelid that may be external or internal, and they can be difficult to deal. By definition, they are infected bumps that form on the eyelids. As if you weren’t having enough fun with your anterior blepharitis, you could also develop a chalazion if your condition is left untreated. A chalazion is a painless bump or nodule inside the upper or lower eyelid. The bump houses pus and blocked fatty secretions that would typically have lubricated the eye but could no longer drain. Chalazia often form after a stye that was left untreated or never fully went away. We have all heard of ingrown toenails, but have you heard of ingrown eyelashes? Trichiasis is the medical name for this condition, and you could develop this if you leave your anterior blepharitis untreated. You can spot someone with an eye infection a mile away. Imagine how easy it will be to detect you if you also develop madarosis. 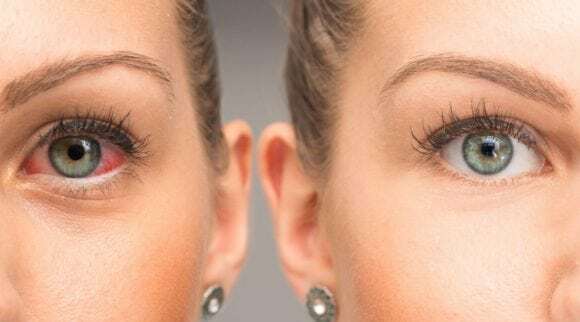 The loss or absence of eyelashes characterizes this condition. It can even spread to the eyebrows. Another condition that can result from anterior blepharitis is ectropion. This is when your lower eyelids turn or sag outward, away from your eye. This leaves the surface of your inner eyelid exposed. Opposite of ectropion is entropion. In this condition, the eyelid is rolled against the eyeball. The eyelashes irritate the eye for those suffering from entropion. Angular blepharitis, left untreated, can lead to ectropion or entropion. Keep in mind that you need to treat anterior blepharitis before introducing contact lenses to your eyes or before having any ocular surgery. Ignoring symptoms of blepharitis can cause infections of the eye. Some people would need to be literally bleeding out of their eyes before going to a doctor. Don’t be that person. The diagnosis and treatment of angular blepharitis are rather simple. Here is what you can expect when going to the eye doctor for issues with your eyes. First, the doctor will ask you to talk about the chief complaint you have regarding your eye health. The doctor will ask you about your symptoms. You will be asked which eye is being affected, and even though blepharitis usually occurs in both eyes, you may have specific symptoms in one over another. Your doctor will ask when your symptoms started. Answer truthfully, even if you have had symptoms for months or hours. This is an essential question for you to answer honestly because symptoms that occur in the spring or fall may be associated with allergies that manifest themselves in your eyes. Then, the doctor may ask if your symptoms are improving or getting worse. He or she may ask if the symptoms are mild, moderate, or severe. Doctors will also want to know at what time of day the symptoms are the worst. Answers to these questions are relevant because if your symptoms are worse in the morning, this may mean you have blepharitis. This is because the upper and lower eyelids are in contact with your eye during sleep. If your symptoms are worse at the end of the day, dry eye disease such as Meibomian Gland Dysfunction (posterior blepharitis) may be the cause. If you suffer from blurred vision after using your eyes for an extended period of time, you could have an ocular surface disease, such as dry eye and blepharitis. The doctor will also ask you if anything seems to be helping alleviate your symptoms. If eye drops, warm compresses and eyelid scrubs are improving symptoms, this may indicate that the correct diagnosis is blepharitis. If cool compresses or masks help alleviate symptoms, this may be an indicator of allergic eyes. In the event that lubricant eye drops are the only thing that relieves discomfort, you may have an ocular surface condition, blepharitis, dry eye disease, or allergies. Redness, eyelid mattering, and discharge may also be signs of blepharitis. As you can see, a visit to your eye doctor is so important! Your doctor will also ask about your eye care history. He or she will ask if you are a contact lens wearer. Wearing contact lenses often cause dry eyes. If this is the problem, the treatment may be as simple as switching brands of contacts or limiting the use of them. Your doctor will also ask if you have any history of eye infections, styes, or ocular surgeries. Even though it may not seem relevant to your situation, your doctor will ask for other aspects of your medical history. Your doctor will be listening for diagnoses that could affect eye health as well. Such conditions include diabetes, hypertension, autoimmune diseases, lupus, rheumatoid arthritis, thyroid disease, and sarcoidosis. Your eye doctor may also ask about scalp dandruff, dermatitis, and rosacea. Your doctor will need to know what medications you regularly take, if any. Do not be surprised if the doctor even asks about over-the-counter medicines. Some medicines, prescribed or not, may have dry eyes as a common side effect. 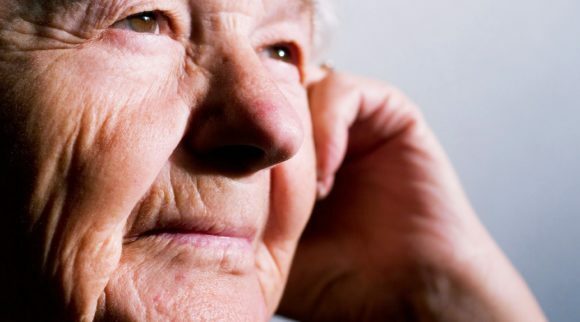 Medications like high blood pressure medications, such as beta blockers and diuretics, can cause dry eyes. Of course, allergy medications such as antihistamines and decongestants can cause eye dryness as well. Other medications that may cause dry eyes include: hormonal anti-contraceptives, as well as hormone replacement therapy given to post-menopausal women, gastric ulcer medications, such as Zantac (ranitidine, GlaxoSmithKline) and Nexium (esomeprazole magnesium, AstraZeneca), incontinence medications, antidepressants and antipsychotic medications, pain medications, including the common ibuprofen, skin medications, particularly Accutane (isotretinoin, Genpharm) for the treatment of severe acne and psoriasis, and also chemotherapy medications. As mentioned earlier, there is a strong correlation between eye comfort and allergies. Your doctor will ask about your allergies to medications, food, and whether or not you suffer from seasonal allergies as well. Do not be offended if your doctor asks about alcohol, drug use, and smoking. The regular consumption of alcohol and tobacco are associated with ocular surface disease. Even caffeine can be an issue! Your doctor will also wish to know what you do for a living. This is not to gauge how much to charge you for the office visit. Instead, it is to determine if your working conditions could be contributing to the issues with your eyes. If you use a computer for most of the day, you may be more likely to have issues with your eyes than a person who doesn’t stare at a screen. When people stare at screens, it is known that they blink less. 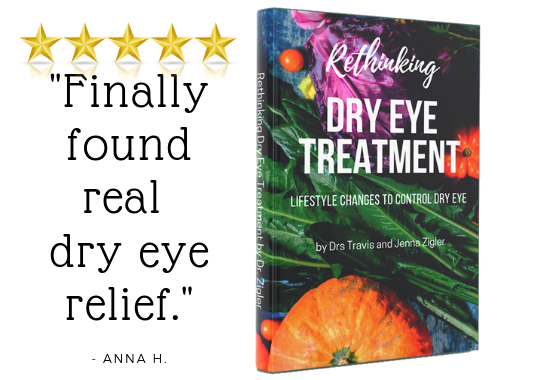 Blinking less results in dry eyes. 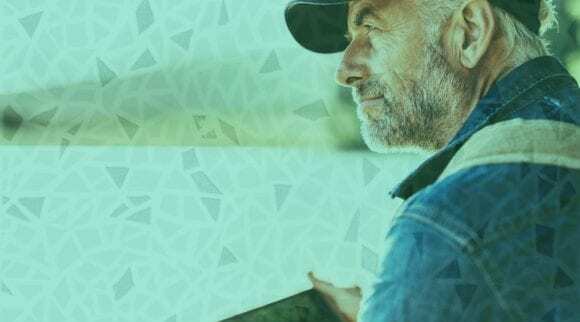 Driving and working outdoors can also cause eye issues. After discussing your symptoms, background, and occupation, the doctor will examine your eyes. Without you knowing it, your doctor will have already looked at your face. He or she will look for redness, papules, pustules, and dilated small blood vessels. The doctor will also look for signs of an enlarged nose, particularly if a male patient has rosacea. Rosacea is a condition that may indicate adverse eye health, and it can definitely contribute to blepharitis. The doctor will also look at your eyes through various magnifications. The doctor will look for inflammation of the eyelid and evaluate the width of the eye opening. Then a doctor will carefully assess the lashes for crustiness and madarosis (loss of lashes). He or she will also look for dandruff around the eyelashes that is associated with Demodex mites. The doctor will examine the cornea and the bulbar and tarsal conjunctiva for signs of scarring, inflammation or infection. The doctor will evaluate the quantity and quality of your tears. To do this, the doctor may place fluorescein dye in your eye, and then observe it under a cobalt blue light. This is used in the examination of the conjunctiva and cornea, as well as to measure Tear Film Break-Up Time (TBUT). This technical-sounding name means that the doctor will measure how much time it takes between blinking and the breakup of the tear film. A time less than 10 seconds indicates tear film instability and less than five seconds is considered abnormal. An additional drop of dye can help determine if your eye issues are caused by a gland disease or a type of blepharitis. 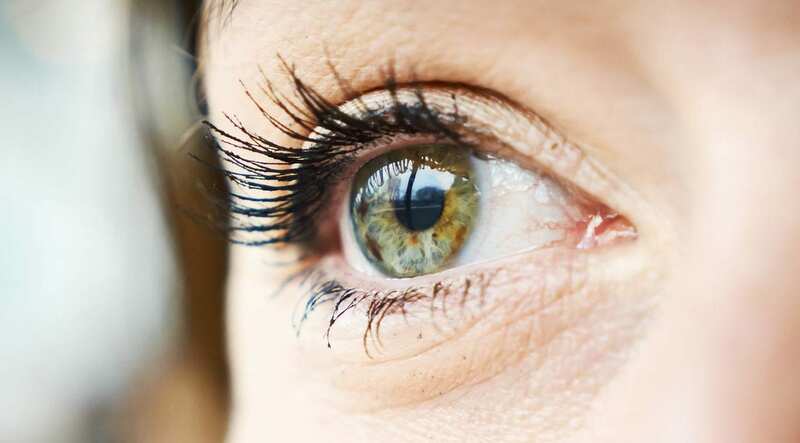 The optometric physician will inspect and express the meibomian glands to observe any unusual quality or quantity of secretion coming from the gland. 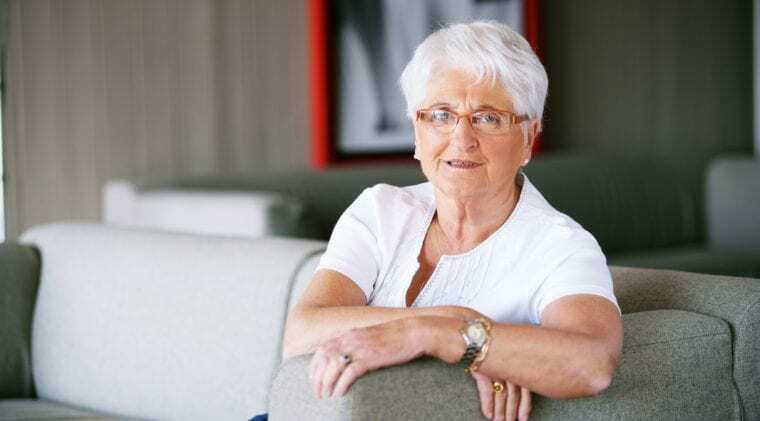 Keep in mind, that follow up care for your eyes is crucial. In some situations, your doctor may insist on seeing you within one or two days after receiving care. 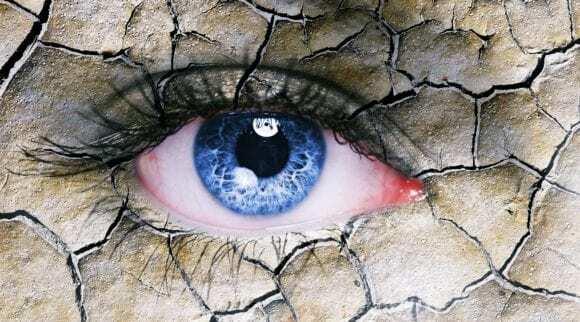 Even though the bulk of this article is about anterior blepharitis, particularly angular blepharitis, keep in mind there are other forms of this condition that may have similar symptoms and treatments. Usually, blepharitis is characterized as either anterior blepharitis or posterior blepharitis. As mentioned previously, anterior blepharitis affects the front edge of the eyelid and lashes and is caused from Staphylococcus bacteria. 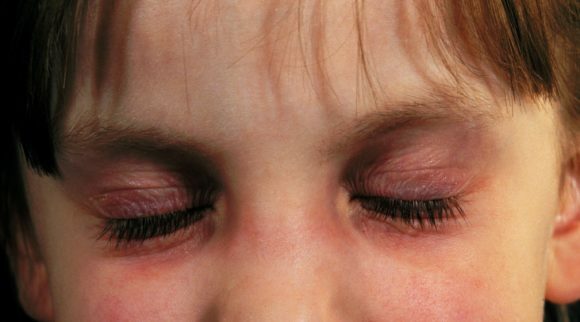 Angular blepharitis affects the corner of the eyelids. Another form that manifests itself with soft, greasy scales in the eyelid and lashes, is called seborrheic blepharitis. Ulcerative blepharitis causes crusts around the eyelashes. Posterior blepharitis involves the rear portion of the eyelid, where the meibomian glands are found, and could be the result of rosacea. Atopic blepharitis is related to allergic reactions. Patients may not be diagnosed with only one type of blepharitis. There may be some overlap in the disease. 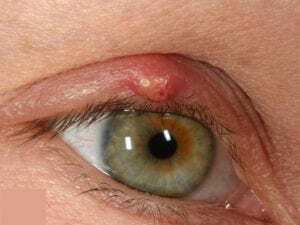 Who is Impacted by Blepharitis? Even though the name sounds intimidating, do not be frightened upon hearing the diagnosis of any form of blepharitis. This is one of the most common conditions eye doctors see in their offices. In fact, some researchers indicate that this condition is present in almost 47 percent of ophthalmic patients. While anterior blepharitis is known to be caused by two different types of bacteria, there is little you can do to prevent this disease. Fortunately, with the advent of modern medicine, this disease can be controlled. Generally, the disease starts slowly, affecting both eyes and is usually chronic with periods of remission and relapse. This disease can affect children, but it is usually found in adults. One study said the most common age for someone to suffer from all forms of blepharitis is fifty years old. It is not considered contagious. Even though the symptoms of anterior blepharitis were listed earlier, other forms of the disease can have different symptoms. It can be beneficial to know these symptoms to help determine if a visit to the doctor’s office is necessary. The affected patients can suffer a multitude of symptoms, including: burning, itching, tearing, the sensation of having a foreign body in the eye, eye irritation, light sensitivity, tired eyes, swelling, grittiness, redness of the eyelids or eyes, cloudy discharge from the eyes, crusting around the eyelashes, blurry vision, or eyelids stuck together. Other symptoms include eyelid itching, flaking of skin on your eyelids, and frequent blinking. Eye health needs to be taken seriously. Eat well for your eyes. Treat your eyes well by protecting them from overuse, and if a problem occurs, see your doctor immediately. Click here to claim your FREE copy, just pay shipping.